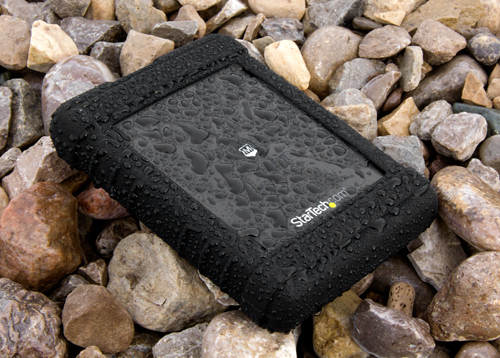 This rugged drive enclosure redefines data protection for on-the-go professionals. 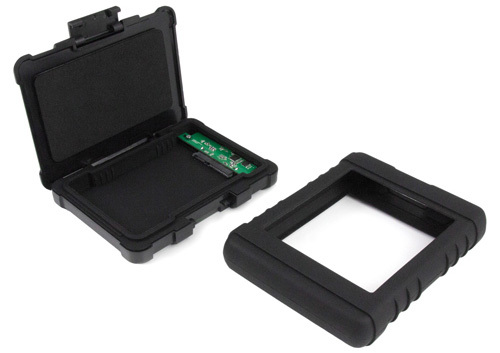 The military-grade construction protects your sensitive data from harsh field conditions. It makes sure you’re equipped for unexpected challenges with a ruggedized water, dust, vibration and shock resistant enclosure. 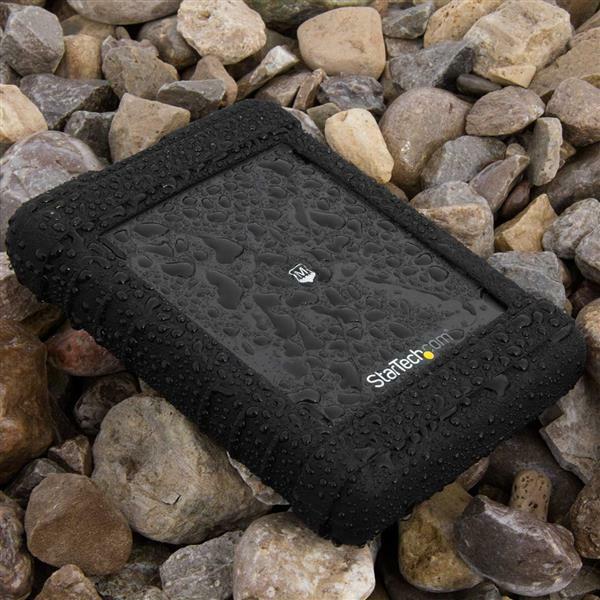 Keep your data safe and secure even through sudden downpours or dust storms. 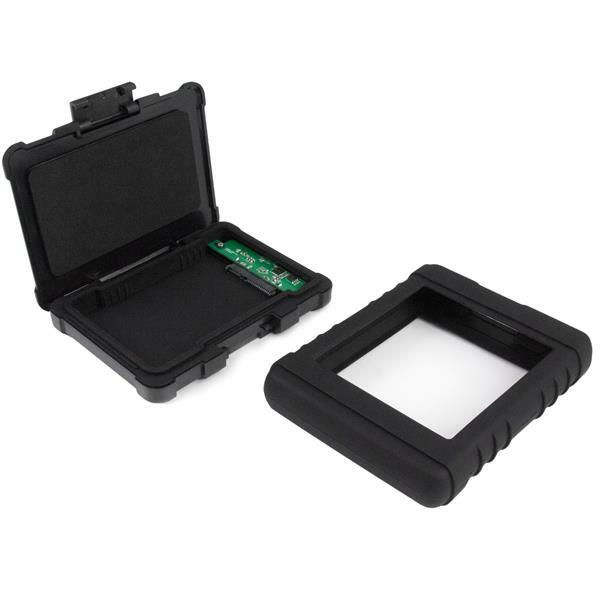 The robust enclosure provides superior water and dust resistance with an IP54 rating. The rugged drive enclosure is enveloped in a silicone protective sleeve, and engineered to help protect your drive from accidental and unexpected shock, vibrations, and drops. 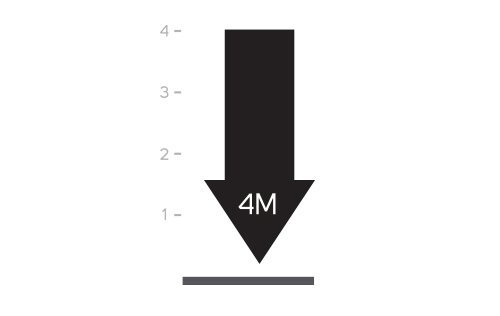 It’s Military MIL-STD-810G rated and test-proven to withstand drops of up to 4 meters (13 feet). It was drop tested using a solid-state drive in the enclosure. 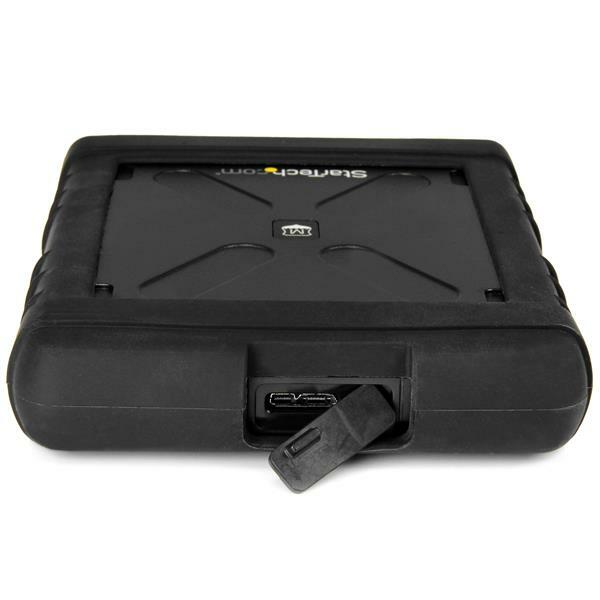 Wherever you go, the rugged drive enclosure delivers reliable data protection, inside and out. The tough-wearing exterior casing provides shock-resistance, while the flexible silicone sleeve hugs the entire perimeter to ensure an extra measure of protection, absorbing the impact of accidental bumps, rough baggage handling or drops. Inside, an extra layer of silicone provides added drive stability. It’s easy to turn your 2.5in SATA III (6Gbps) solid-state drive or hard drive into external storage. 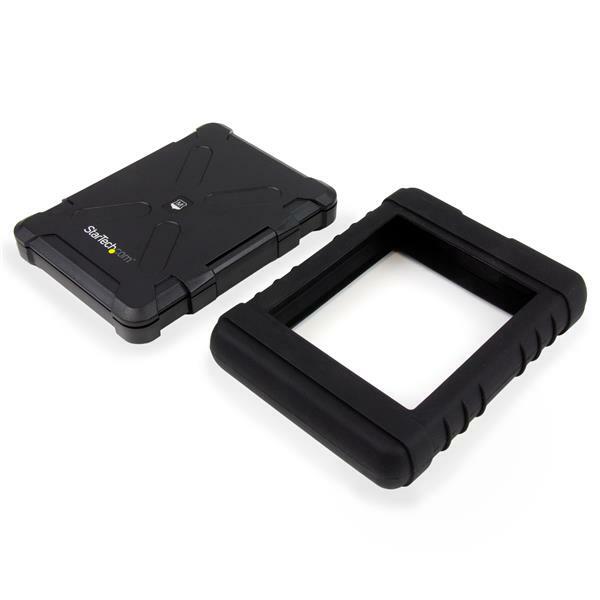 Simply remove the silicone sleeve, open the latch to insert your 2.5" drive into the rugged enclosure, and plug the included USB cable into the computer or hub USB port. There are no screws or tools needed. 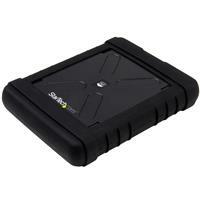 Save time in the field, by storing and transferring content quickly. 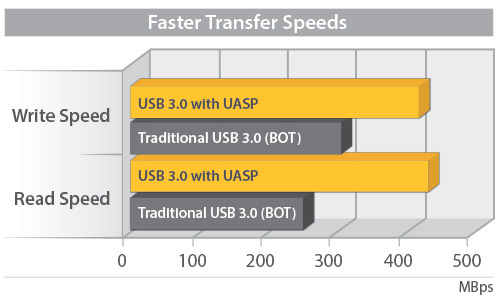 Enhanced with UASP (USB Attached SCSI Protocol), this rugged drive enclosure performs with a 70% faster read speed and 40% faster write speed over conventional USB 3.0, when paired with a UASP-enabled host controller. Testing results were obtained using an Intel® Ivy Bridge system, a UASP enabled StarTech.com enclosure, and a SATA III (6Gbps) solid state drive. 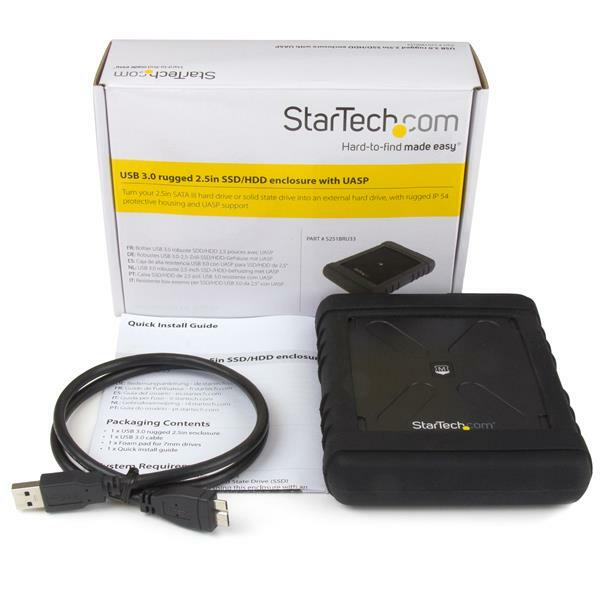 The S251BRU33 is backed by a StarTech.com 2-year warranty and free lifetime technical support. Create an external USB storage drive using your 2.5in SATA III (6Gbps) solid-state drive or hard drive.